Suitable for use on Brompton Bikes. 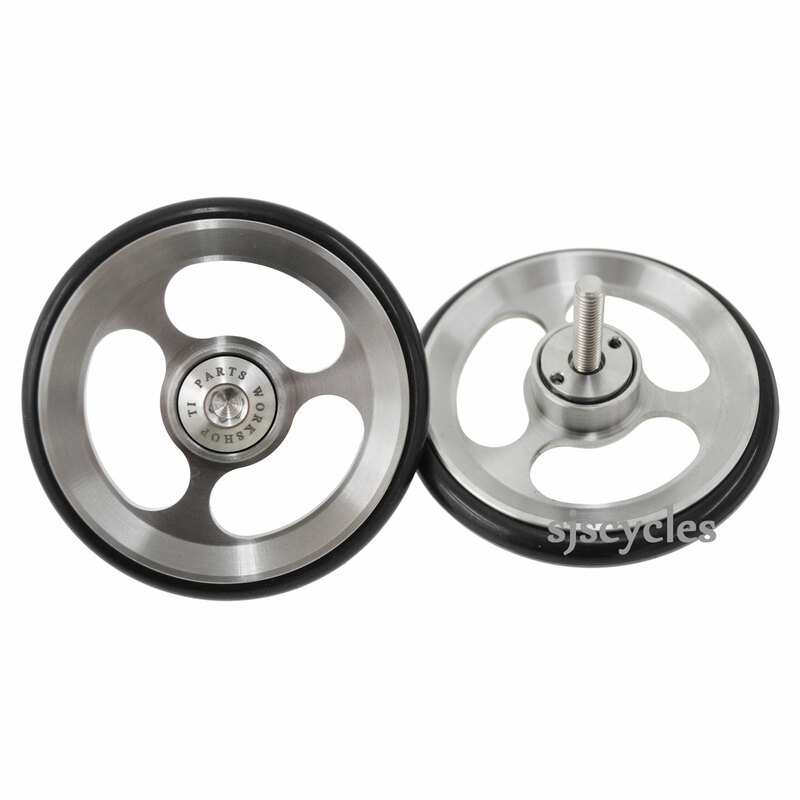 Can be used in place of Brompton Eazy Wheel Aft (Brompton Part # 9038022 / QEZWROLR-5). Set consists of 2 x 6AL4V Titanium Easy Wheels and 2 x 6AL4V Titanium Bolts and 4 x Bearings. For fitting to rear rack.